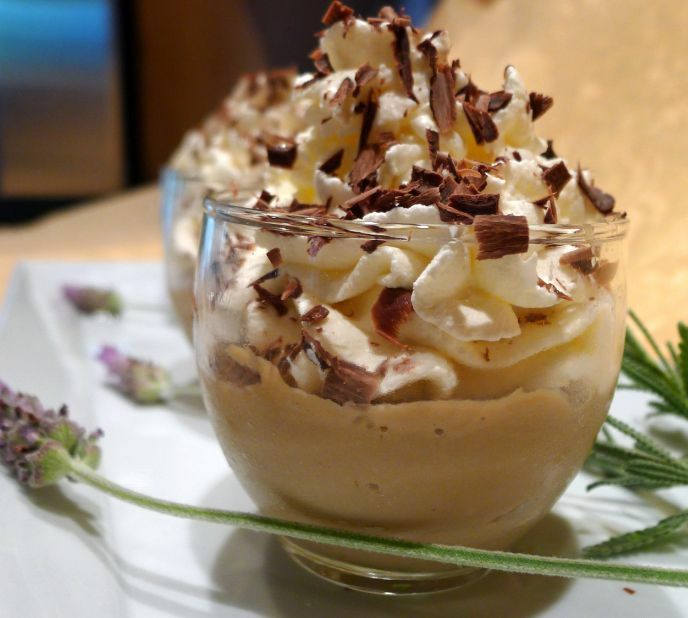 Originally I was searching for a cafe liégois (ice cream and coffee) recipe but then I stumble on this great video by carte Noire (Click on link to see video) which gave me the idea for this dessert. The video is very cool and so sophisticated and as soon as I was done with the video I knew I have to give it a try. 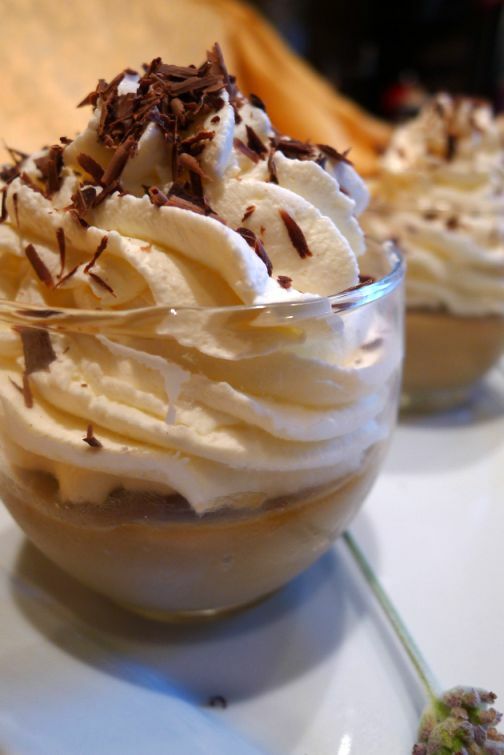 The coffee custard has a creamy, milky texture like sweetened condensed milk (but not overly sweet), with a strong coffee flavor, topped whipped cream and chocolate shavings. 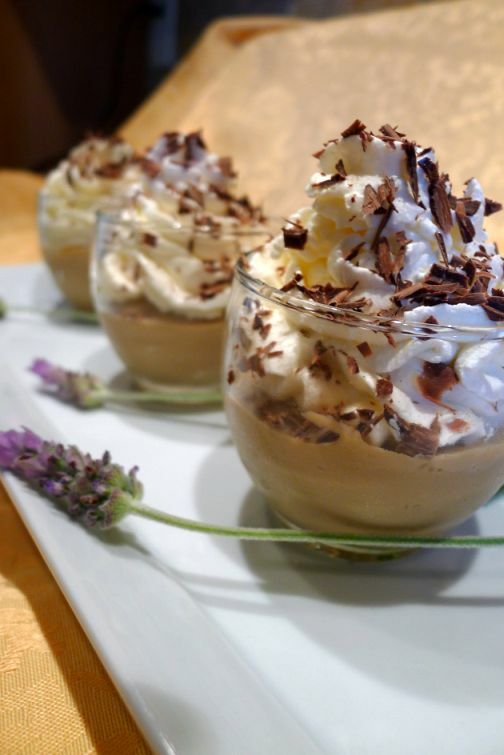 This dessert is actually a very easy dessert to make in less than 30 minutes but you have to refrigerate it for a least a few hours before serving. 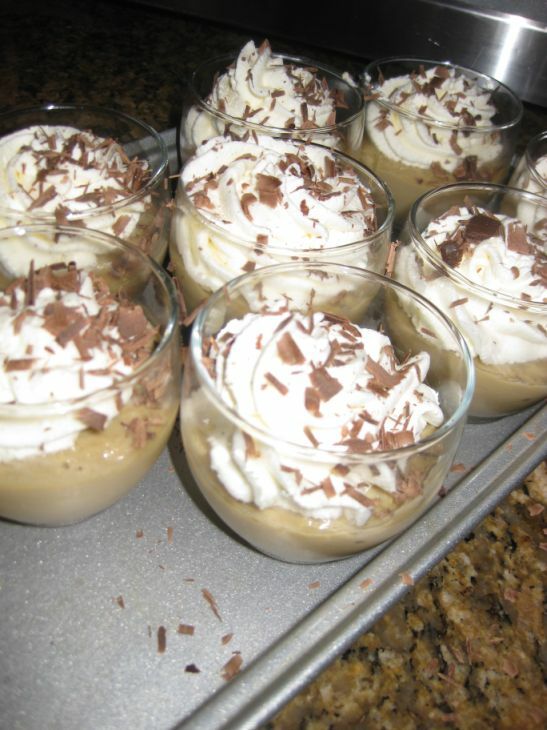 The bottom is coffee custard topped with whipped cream and shaved chocolate. 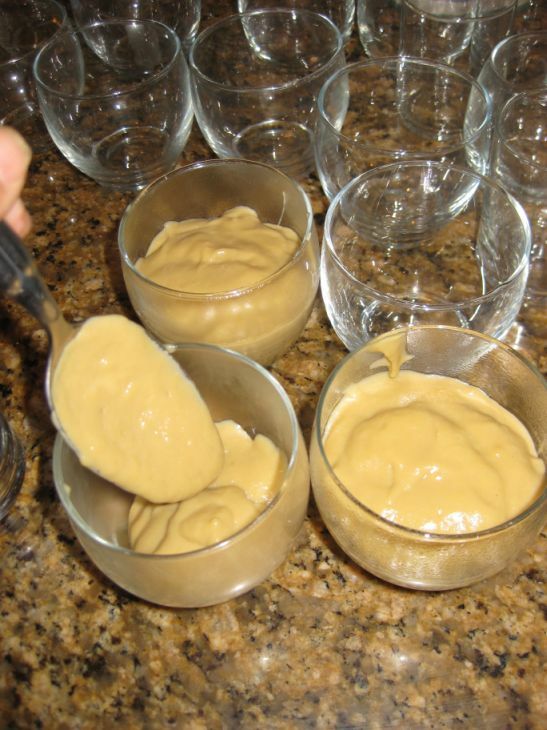 The custard are pretty addictive so serve them in small portions and then your guests will definitely want to have a second helping. 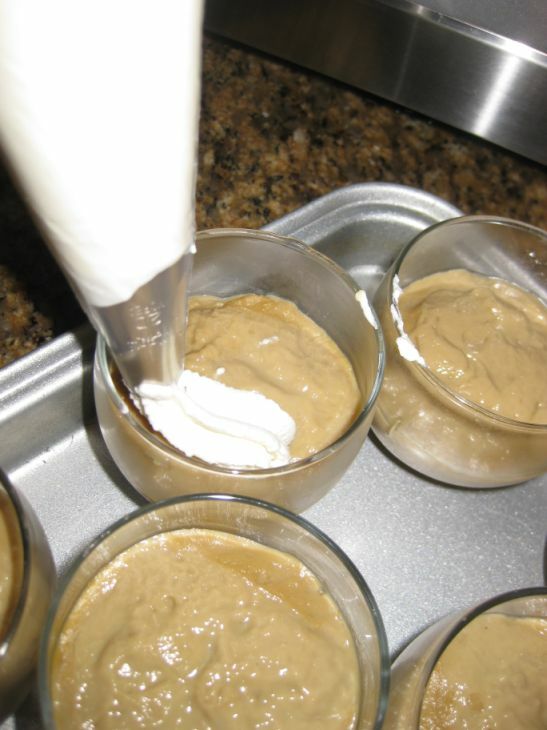 Close look at the coffee custards. 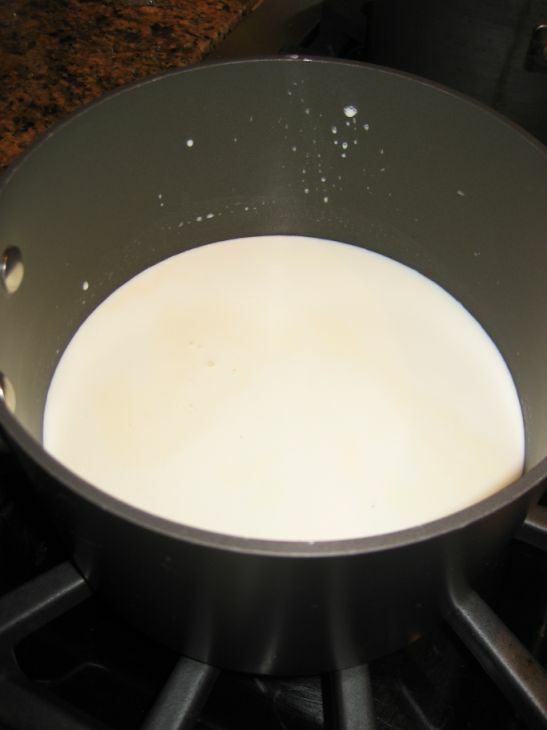 Pour the milk and heavy cream into a sauce and heat the milk until you see bubbles forming around the edges of the pan. Turn off the heat. 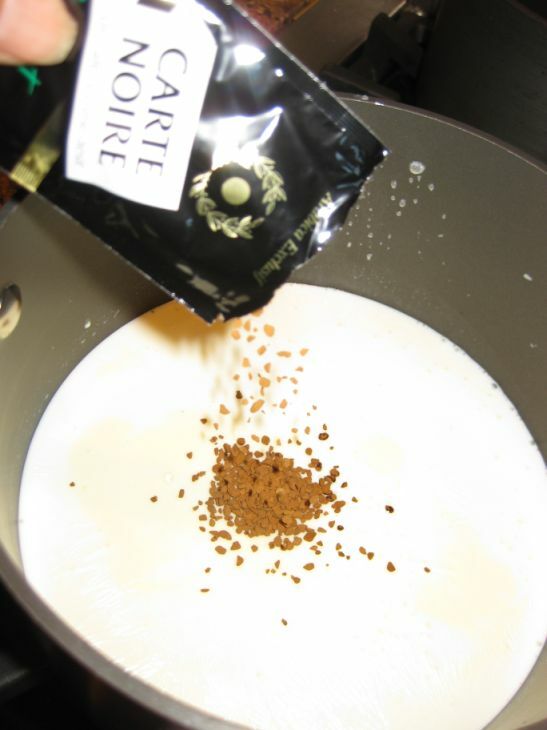 Add the instant coffee and mix well. Set aside. 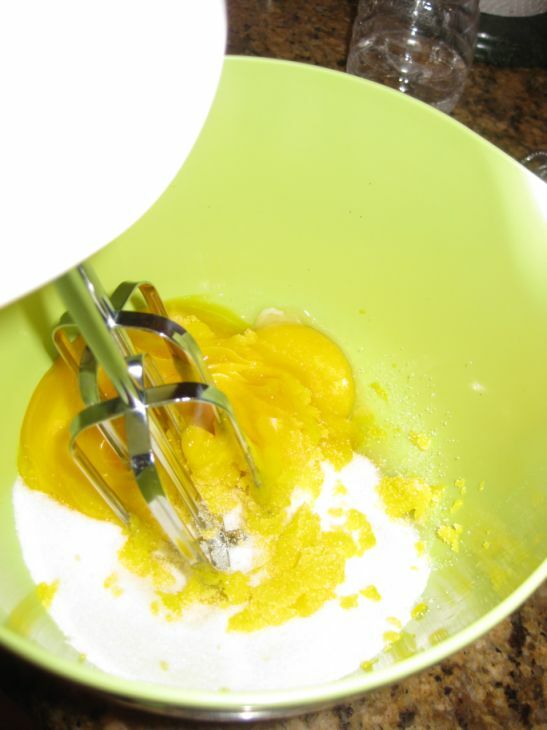 In a large bowl, add the egg yolks and sugar. Mix until well combined. 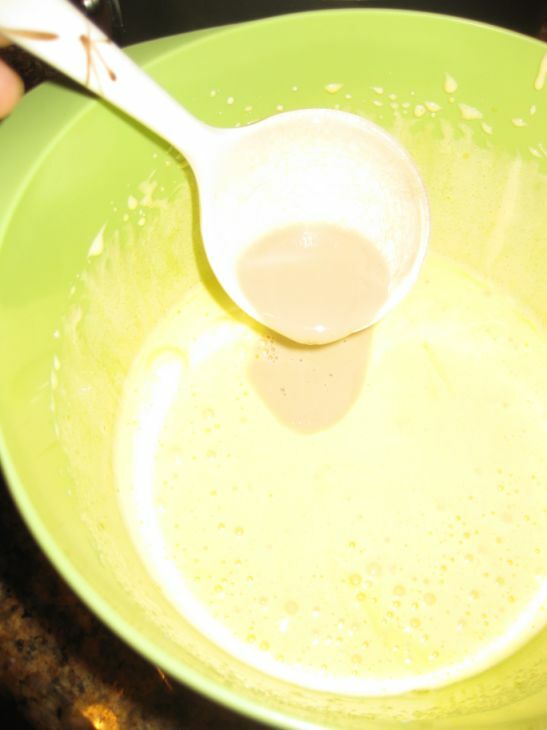 Slowly pour the milk/coffee mixture over egg mixture. 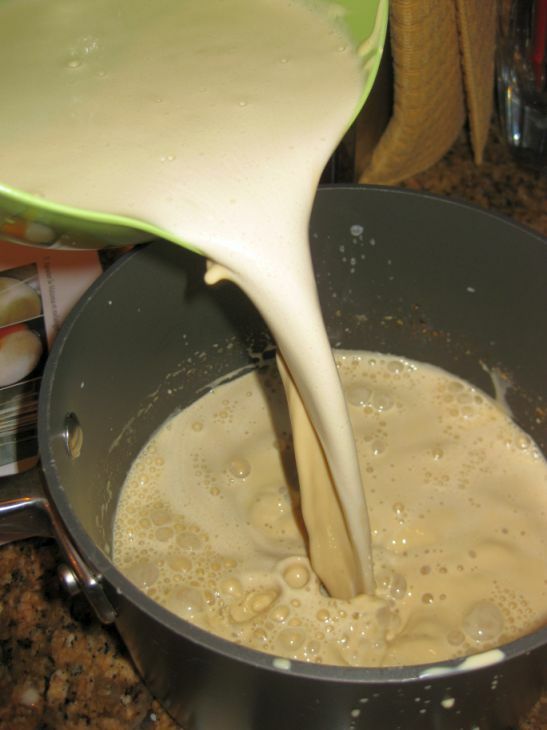 Keep stirring while adding the milk/coffee mixture. 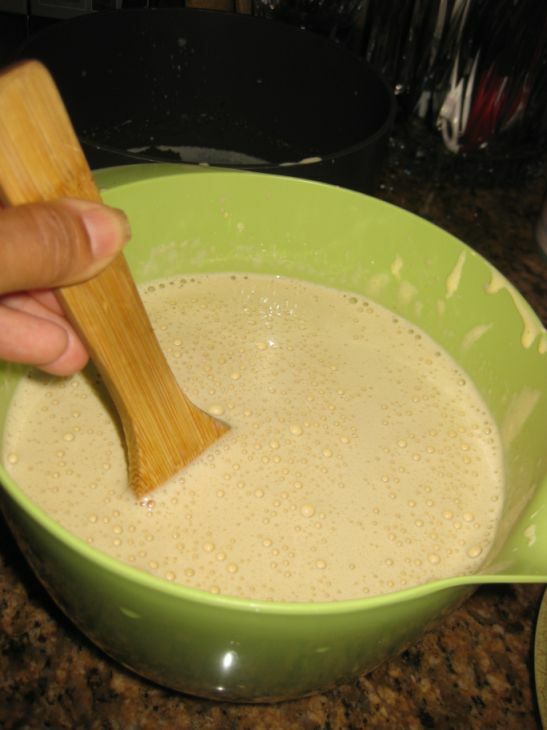 Pour the mixture back to the sauce pan. 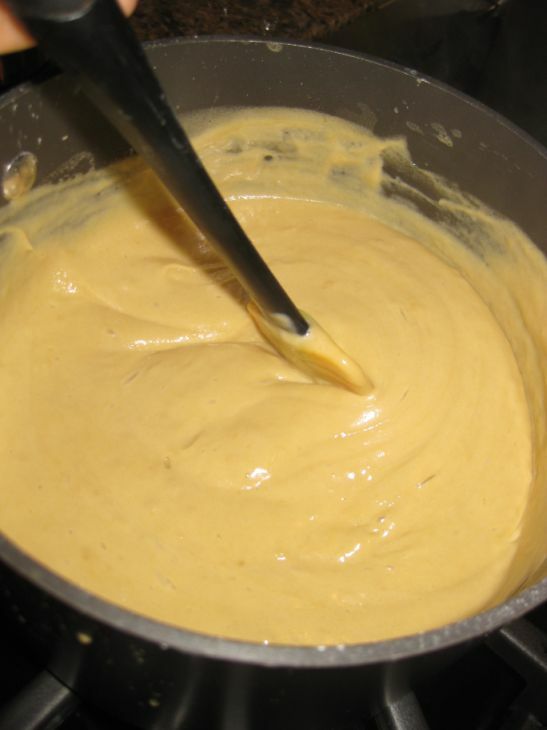 Over medium heat keep stirring until the mixture has thickened. 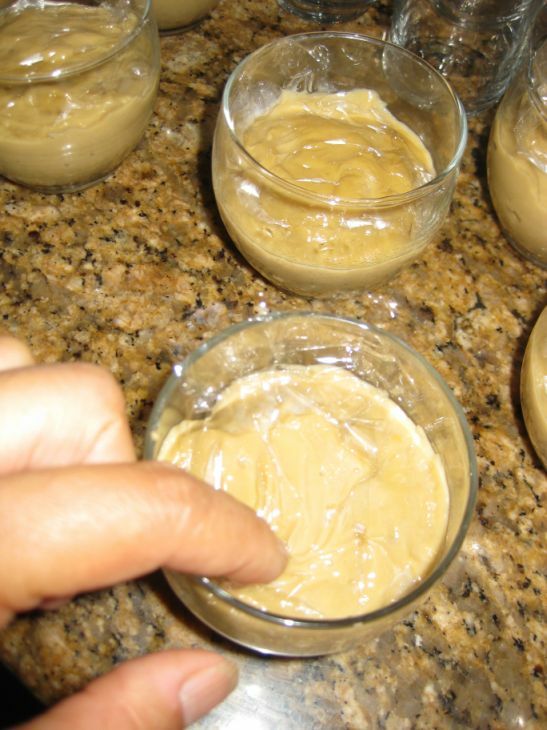 Divide the custard into small glass containers. Put a plastic film on top so that a skin does not form. 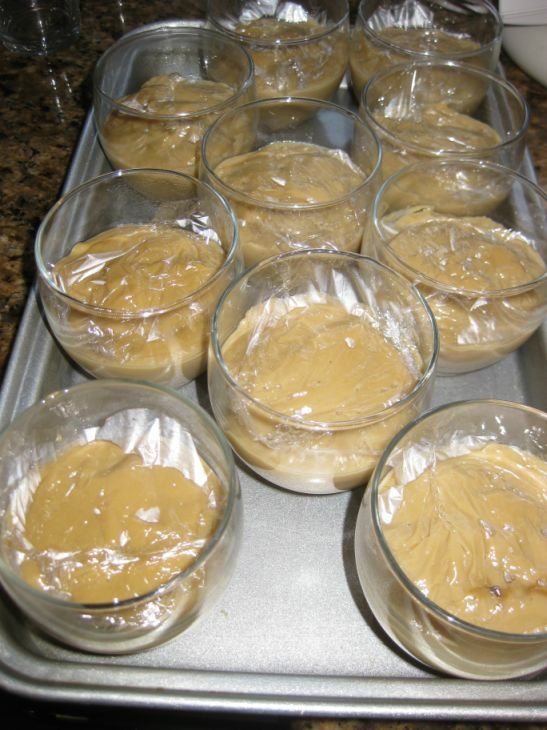 Let it cool down a bit and refrigerate for at least 2-3 hours or overnight. 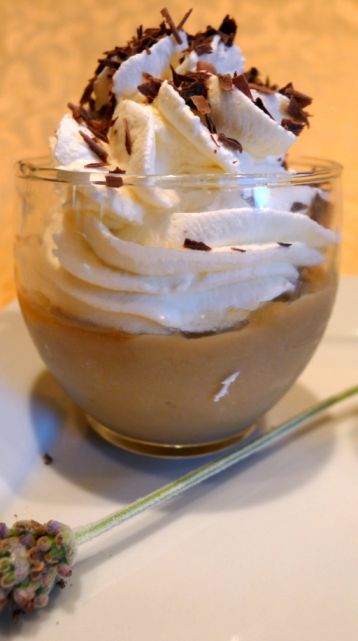 when ready to serve, remove the plastic film and pipe the whipped cream on top. Shave a bit of chocolate of top for decoration.